I currently have a wide selection of paintings on display at Queen Street Gallery, Neath. The gallery is situated above Cafe 46 and is soon to move across the street. You are welcome to visit Wednesday to Saturday. Landfall is my next solo show. 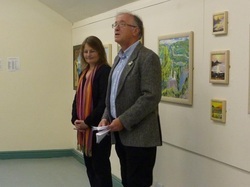 It will take place in the second half of May in The Chate Room, King's Street Gallery, Carmarthen. More information to be published shortly. Preparing now to take part in Gower Open Studios for the second year during Gower Festival, with approximately eighty other artists of various disciplines. You may have attended my Egg Tempera Painting with Natural Materials workshop in March 2018 which was associated with this event. Thanks to artgallery.co.uk for inviting me to show plenty of paintings at Malvern Theatre. Looking forward to delivering. Hope you can make it in person for a look this festive season. End of November to mid January 2018.
a busy community event in Cardiff. Pop over to the Gate Arts Centre to have a look! I will be painting out somewhere in the area during the next couple of weeks. This show will assemble at Swansea Grand Theatre in July this year. I am busy organising Norfolkians and those on the journey to Swansea to show specifically work painted on location. A very exciting event, be in Swansea for this. Thanks to James Coleman for his enormous contribution in bringing a lot of us together. There will be associated artist-led workshops and debates arising. Previous show at Taliesin, Swansea University Christmas show. Thank you so much for yet again putting this together Mark - the hanging was well thought out, many commented! ​Two out in June, below, is one of my paintings on show. It was painted in studio prepared oil and the elements faced in June this year standing next to the Salt House at Port Eynon, Gower, Wales. It is for sale and can be bought off the wall. 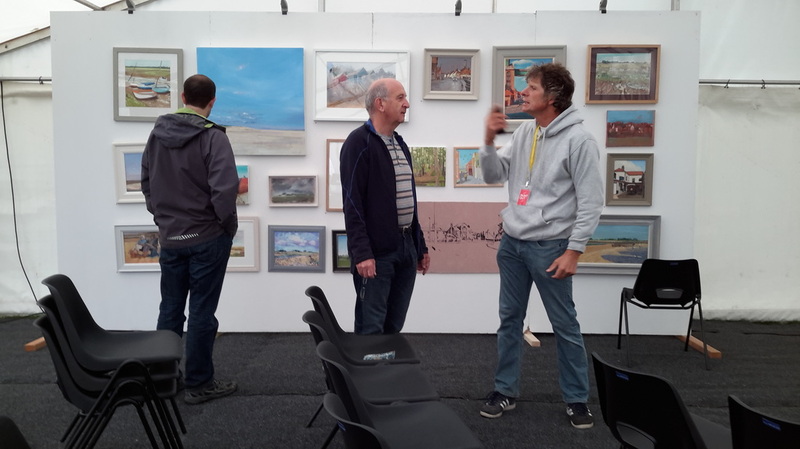 Visit before Christmas, the varied show is well hung and the pieces are disappearing fast. 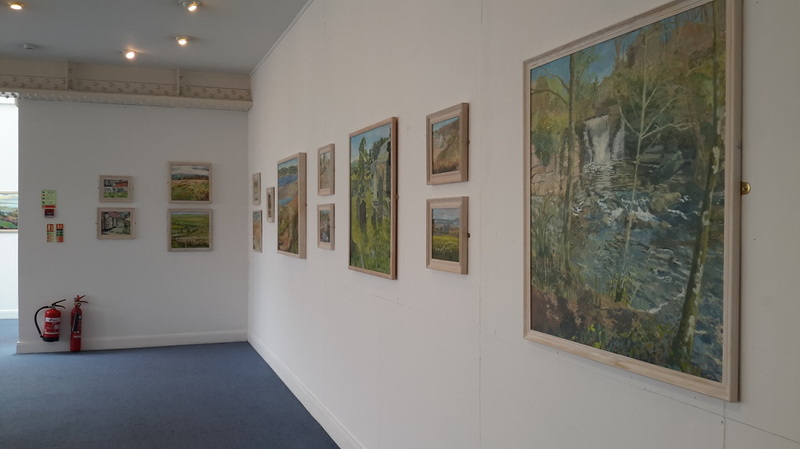 WITHOUT WALLS Sue Mann's recent paintings at Oriel Bach, Mumbles, 7th - 17th June 2016 Swansea...with the help Thank you to everyone who visited and the amazing volunteers. Swansea Museum Andy Wardrop, Bruce Risdon, Phillip Jacobs and Tim Grant also showing in the long gallery. Workshop 22nd May Sue Mann's egg tempera painting from history. Without Walls: Landscape at close hand off the beaten track. 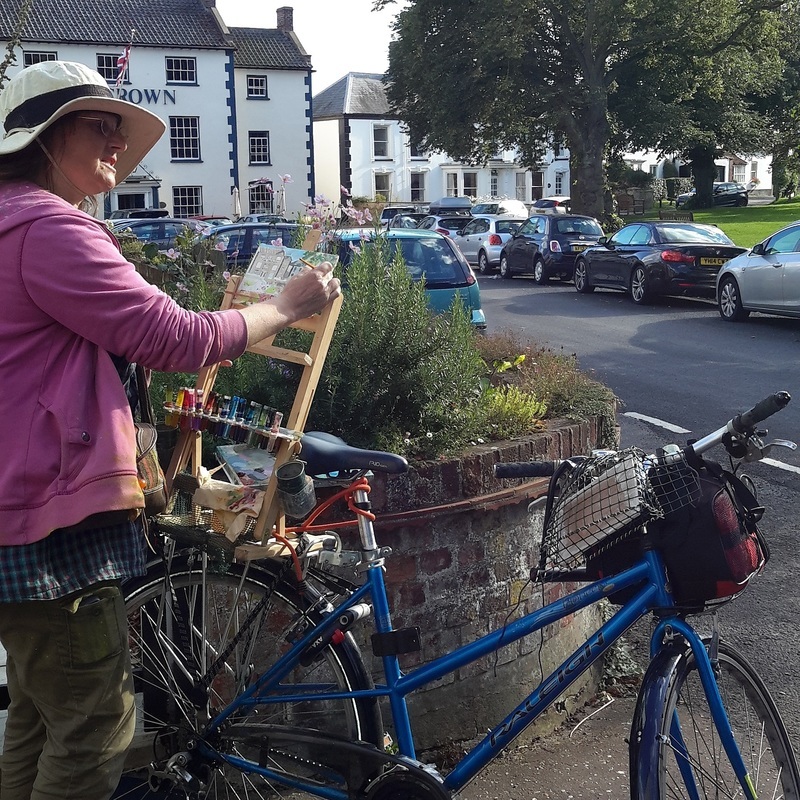 6th-17th June 2016 Recent paintings by Sue Mann assisted by her bicycle. A lot of fun! Eggs, seaweed, bluebells and stinging nettles in powder form. Falmouth Art Gallery: Sue Mann "In The Limelight." OPEN STUDIO - MEET THE ARTIST ! Follow signs from Goetre Fawr and Dunvant Road, Killay, Swansea. I am just before the shops and Lime Grove on the right. Painting plein air in competition and exhibition in Wells-next-the-sea, The Rutlands, September 2015 and Norwich Cathedral Hostry, October 2015 - show ongoing. 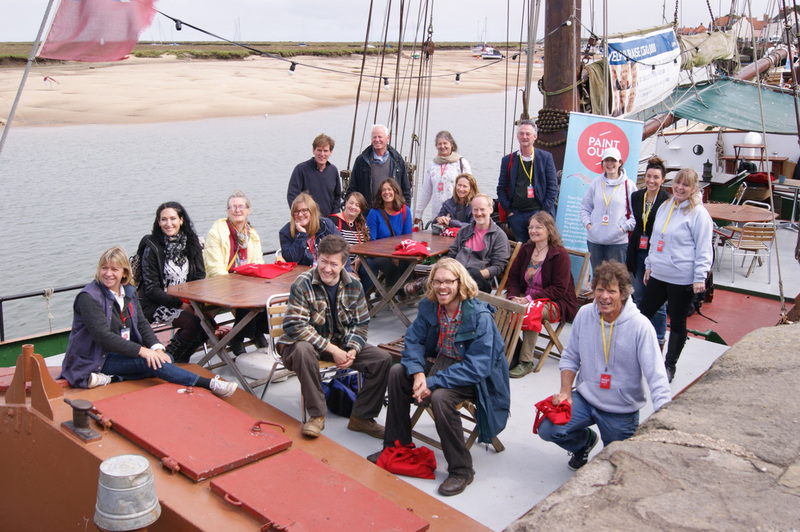 Sue Mann was awarded Highly Commended in Wells Next The Sea. Llandeilo, S. Wales, displaying alongside the likes of John Sutherland. Swansea Grand Theatre: Curator Sue Mann. Blue Orchard Paintings Eight artists participated with paintings and drawings. Thank you to all who came especially Ian Charles , former "Afternoon in Paris" guitarist for lovely guitar playing. Labyrinth - September 2014 Duo show at Rhossili, Gower. As advertised in Swansea's What's On magazine. So grateful to all attending the private view and show. The staff were wonderful. Special thanks to those who found homes for paintings. Thanks to everyone who made it to the private view, especially our musical trio Tom Williams, Simon and Peter Davies, who entertained us non-stop with their versatile repertoire and first class musicianship. Please telephone 01792 203514 or 07974391251.